Sorry, honey, things like this just aren’t allowed in my cart! 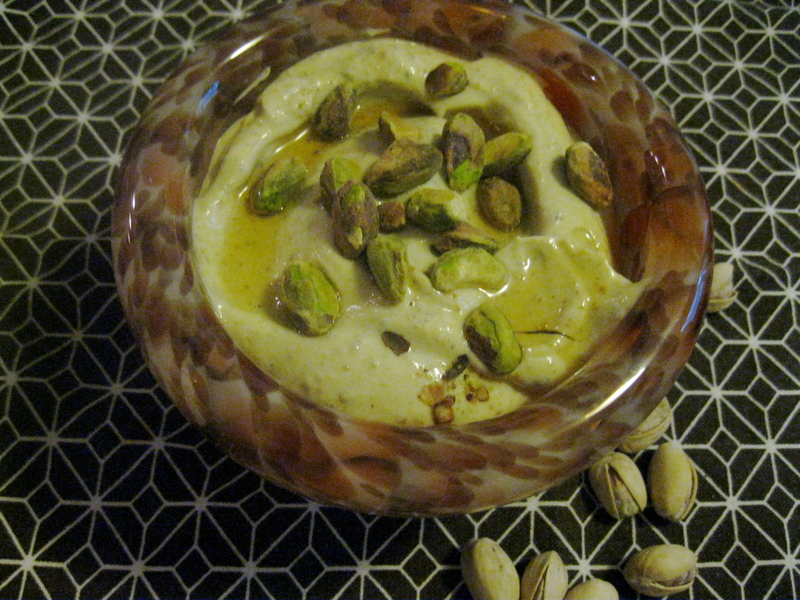 However, I do love pistachios and promised him I would make a more wholesome homemade version. 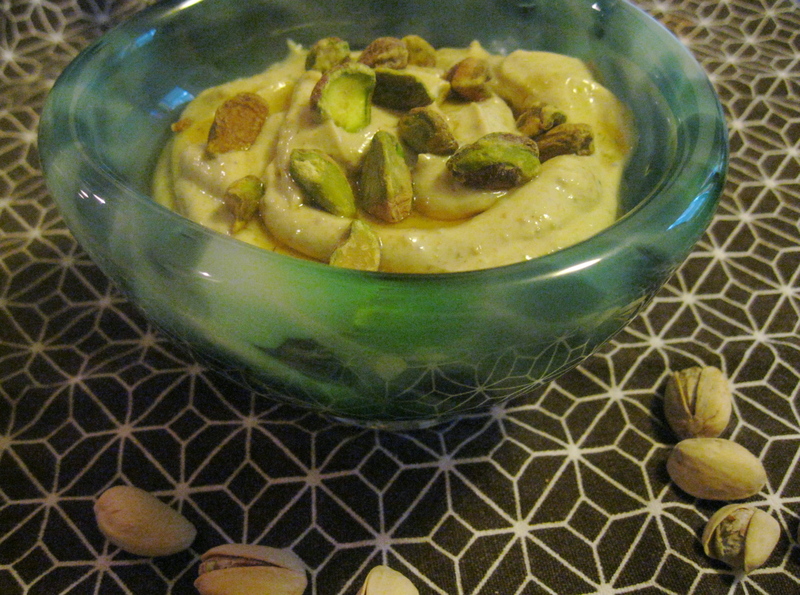 After looking at a few more traditional pistachio pudding recipes using egg yolks and whole milk to thicken, I remembered that when I was vegan I used to make the simplest pudding with silken tofu and decided to use that as a base. I swirled some pistachios with agave and vanilla, added a bit of coconut oil to replace the richness of the milk fat and egg yolk, and added that to a creamy silken tofu base. 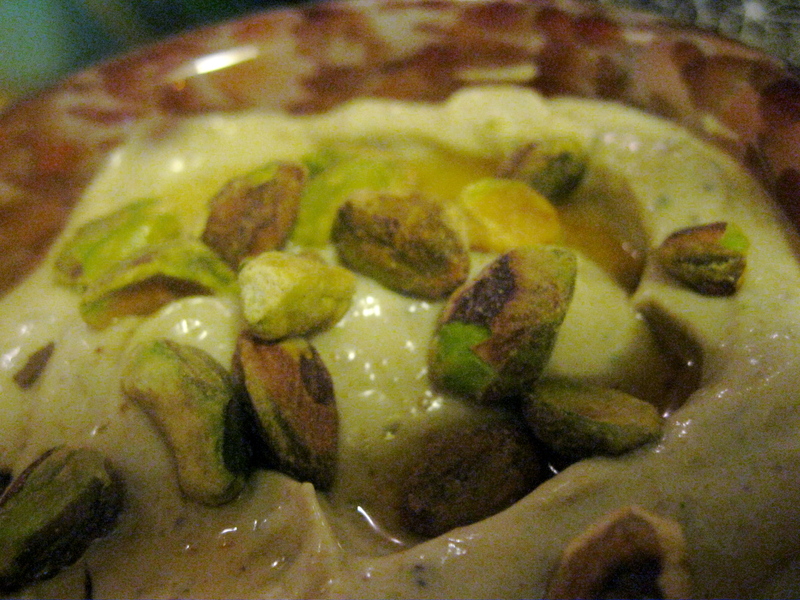 Garnished with a few pistachios and an extra agave swirl, it didn’t need anything else. Andrew was in heaven and proclaimed it “better than Jell-O’s pistachio pudding.” I didn’t think that was much competition… that stuff is scary! But really, this is so delicious and easy to make! 1. Reserve 2 tablespoons of the pistachios for garnish. Add the rest of the pistachios, the agave, coconut oil, and vanilla to a food processor and process until smooth. Add the tofu and process until smooth again. 2. Spoon into dishes, garnish with whole or coarsely chopped pistachios and an agave drizzle and serve immediately. The ungarnished pudding will keep in the refrigerator for several days as well. PS: Recognize the bowls? They are the ones we made during our Eugene trip! They make perfect desert dishes. It sounds delicious. Thanks for sharing. Love that bowl!! I love little dessert bowls so much. I have ramekins but they’re not as pretty as that! Thanks! I actually don’t have ramekins, but I’d like to get some… that way I can make mini baked desserts! I agree, I just couldn’t buy that grocery store stuff, what is all that crap anyway?? But your version sounds delish, isn’t tofu amazing? I can’t get over how gross some of the products at the grocery store are when you read the ingredients. They leave me feeling sluggish too. Glad you came up with a healthier version. 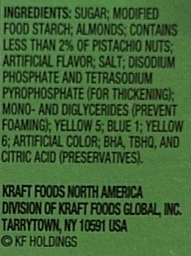 Yes, it’s crazy what the FDA deems appropriate to put in a food product!